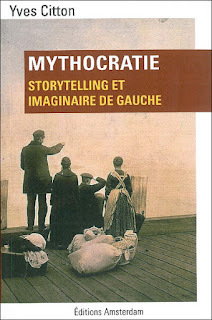 What follows is unauthorized and semi-competent translation of the introduction of Yves Citton's Mythocratie: Storytelling et Imagninaire de Gauche. I did this for my own self-clarification and teaching, but I posted it in an attempt to increase interest in Citton in the English speaking world. No one has yet to determine what a story can do. Some are offended by the “mythes” that obscure; others denounce “the histories” that we recount; others still believe in that it is enough to find the good story that would lead the donkeys to polls, the sheep to the market, and the ants to their work. More than these denunciations or formulas, this book proposes an interrogation of the power of stories, doubled by a narrative on the mythic nature of power: mythocracy. In order to do this, one must articulate three levels of reflection, which it would be too ambitious to pretend to analyze separately, but one hopes to seize in the process of traversing them. In the first case, it is a matter of following the imagination of power characterized by recent developments of political thought, inspired in part by Spinoza, Gabriel Tarde, Michel Foucault, and Gilles Deleuze. They have made it possible to recount and comprehend the way in which apparently “soft power” functions, a power which insinuates, suggests and stimulates more than it forbids, commands, or constrains—a power which is a “conduct of conducts” circulating through the flux of our desires and beliefs that canalize[?] our networks of mediated communication. It is also an attempt to examine the part of our reality played by the fantasies and emancipatory potential enveloped in our practices of narration and storytelling. One thinks here of the diverse disciplines (anthropology, sociology, narratology, and semiotics)which have made sense of the way in which narrative structure is the necessary precondition of human action, at the same time that it is the horizon called upon to integrate our diverse quotidian gestures. This would be the occasion to comprehend how and why the resources of storytelling have been monopolized by reactionary ideologies (of the right) and under what conditions they can be reappropriated by emancipatory politics (of the left). At the point of encounter between practices of narration and apparatuses of power, one finally tries to define a particular type of activity, scripting, [scénarisation]. Recounting whatever kind of story, it amounts to not only to articulate certain representations of actions along with certain types causal connections, but ultimately leads to a certain conducts of conducts on those who listen, following the same connections and sequences. In placing on the stage the actions of fictional persons in my story, I contribute—more or less effectively, or more or less marginally—to script the comportments of the (real) persons to which it is addressed. This activity of scripting [scénarisation] demands to be analyzed in terms of it specific virtues, stemming from the nature of the narrative gesture, and in terms of it effects at the heart of our media apparatuses. Going from the problem of narration to that of scenarization implies an examination that traverses several structures of communication with what possible effects a story can affect the public orienting its comportments. …The power of scripting which is described in these passages is nothing new in itself. It could easily be traced back to the mise en scène of royal power attributed to Louis XIV or to the scenography of Roman emperors. Human beings are being scripted as soon as they speak, seduce, contest or recount histories. If the power of scripting is as old as humanity its conditions of exercise, its canals of diffusion, its degree of concentration, intensity and the precision with which it can hope to influence human comportments evolve and transform constantly. Our modes of social regulation are distinguished by the intensity of their power of scripting. In this case studying the phenomenon of scripting today takes on a particular urgency, something the can be illustrated by the aid of a short recap of the last two centuries. It is not a matter of denying, relativizing, or declaring obsolete this massive reality of hard power, but of simply remarking how it is often relayed by other forms of power, apparently more soft. In fact the power of scripting often doubles the forms of “hard” power: the spectacular deployment of “antiterrorist” commandos against a farm occupied by a ten or so unarmed youth in Tarnac, the imprisonment of one of them for over six months on the basis of empty charges, the revelation of several months of surveillance the months before, all of which were meant to prevent a “crime” the essence of which would seem to be the desire to be “autonomous”—here there is at one and the same time a traumatic violence, imposed by the force of submachine guns on several individuals in particular, and a work of scripting addressed to the entirety of the population, to reassure the obedient and frighten the insubordinate. Such a history of the “Tarnac nine” has effects beyond the little village of Corrèz: according to the very fact that it is told, depending on the channels that diffuse it, according to the sensibility of those listening, it could serve as a call to order, a revelation, or the confirmation of a vector of indignation. Beyond the play of powers and counter-powers, juridical or economic which intersect and transform each other, the modalities of scripting determine a place of intervention which, far from annulling or surplanting this interplay, adds to it a level of complexity, which has multiple and constant points of intersection with economic and juridical conflict, but nonetheless merits to be analyzed according to its proper logic. It is the proper logics which will be clarified in the following chapters. We hope to hope to show that it is not only inevitable but often beneficial “to tell stories” and that the society of the spectacle must be less an object of lamentations than efforts of counter-scripting. The last decades have been characterized in effect by the incapacity of the political forces of the “left” to tell convincing stories. For reasons that we must comprehend, the “right” (security, neoliberal, xenophobic) has become a widespread, open, but relatively coherent story of images, various facts, information, statistics, slogans, fears, and reflexes and objects of debate that mutually reinforce the heart of one and the same “imaginary of the right.” The (soft) force of this imaginary has been its ability to rapidly colonize the discourse of number of leaders of parties that are supposedly officially left. How has this “imaginary of the right” been able script large sections of our political life. On what bases is it possible to reinvigorate an imaginary of the left capable of taking charge of the powers of scripting. These questions are on the horizon of what follows. The related hypothesis is that the current disarray of “the left” (official) is due to a blockage and deficiency at the level of its imaginary of power which it has not reinvented. 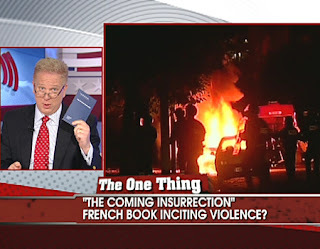 The pathetic disorientation of the leaders and collective organization, in France as well as other European countries, contrasts strongly with “para-political” invention and resistance can be largely attributed to the lack of an imaginary glue which makes it possible to collect together, sensibilities, sentiments, evidences, hopes, beliefs, slogans and demands of which there are isolated experience but nothing that gives them the strength of shared experience. In speaking (wrongly) of the end of ideology, regretting or celebrating the belle époque of grand and structural antagonisms, we miss what the specificity of today: it is not a matter of constructing a system of ideas, coherent and totalizing, strongly anchored in the rigor of the concept, reassuring the restless spirits by the pretension of a answer to everything (an ideology), but more to the point a heteroclite bricolage of fragmentary images, of doubtful metaphors, of debatable interpretations, vague intuitions, of obscure sentiments, crazy hopes, partially stories and interrupted myths, which taken together constitute the consistency of an imaginary, held together less by there logical coherence than by the interplay of common resonances that traverse their heterogeneity in order to affirm their fragile singularity. It is towards the emergence of such an imaginary that the present essay would try to make a modest contribution. The title of this book is written under the influence of the African American musician Sun Ra (1914-1993), who invented at the same time musical oeuvre of premier importance, that remains well know (from the post-bop compositions to collective improvisations relevant to experimental music), and a common creative mode of life, that he and his Arkestra maintained for almost a half, and a myth, such that he claimed to be originally from the planet Saturn. 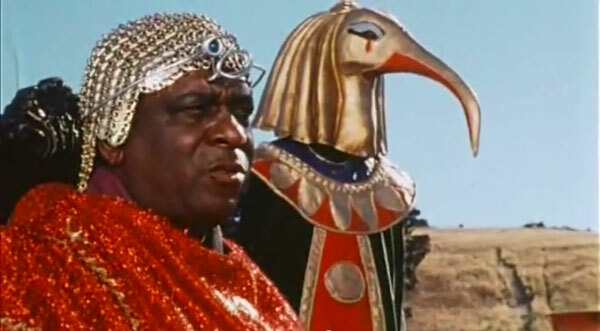 In the USA during the second half of the twentieth century Sun Ra, lived, embodied, and illustrated the emancipatory force of myth: changing his name, investing in an extraterrestrial identity, regarding Earth societies from an interplanetary point of view, all of which participated in an effort of counter scripting and resistance to racist oppression, classism, conformity, and anti-intellectualism that structured US society. Last introductory precaution: this book comes from someone who is becoming a professor of literature, from the knowledge of someone who is often confronted with the soft power of librarians more than the batons of riot police, someone who himself exercises an institutional power that has its own bad and perverse effects, and someone who is paid to say and believe that words, forms, stories and stagings [mises en scène] count as much as the facts that they find, represent, or express. Whether this deserves to give him authority or if, on the contrary, it must place everything under great circumspection—caveat lector!